Periactes Solutions give a boost to Dragone’s image production. The implementation of render farms and EditShare online shared storage accelerates Dragone’s production times while adding flexibility. Periactes has equipped Dragone, the renowned, live production company with powerful yet portable render farms and a centralized post production workflow. 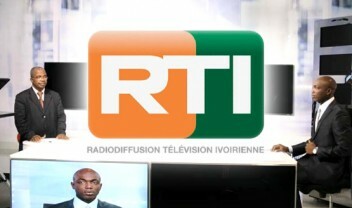 Based in La Louvière in Belgium, Dragone creates prestigious and spectacular live shows including A New Day, starring Céline Dion, which opened at Caesars Palace in Las Vegas and a Macau-based show entitled The House of Dancing Water, which bills itself as the world’s largest permanent water-based show. The collaboration between Periactes and Dragone started many years ago when the Franco Dragone Entertainment Group (the former name of Dragone) was still subcontracting the creation of its 2D and 3D artworks to Mainframe Facilities. A first render farm was then provided by Periactes to drastically cut the time needed to produce the images intended to be displayed on a giant LED wall – 32 meters wide – for Céline Dion’s “A New Day” show, which has been inaugurated in 2003 in Las Vegas. A few years later, Dragone called on Periactes as they decided to create a new images & video department and to internalize its production – ranging from simple illustration to complex video. 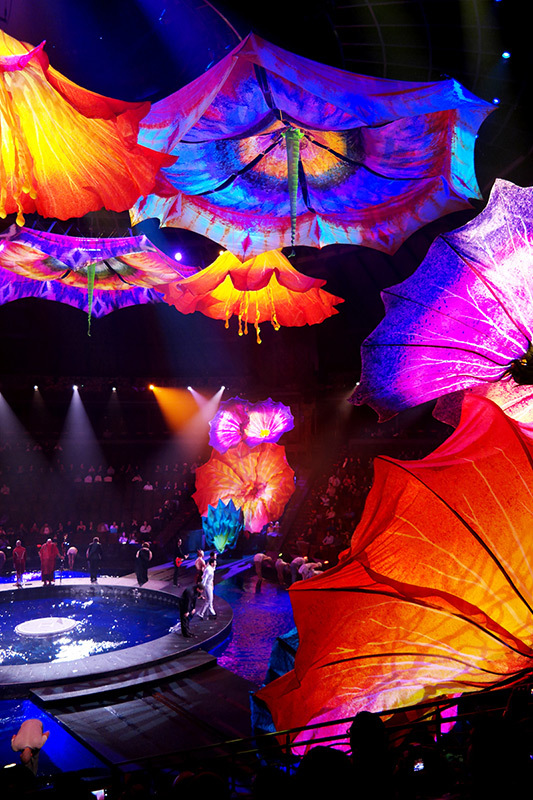 Since then, every image creation for shows such as Le Rêve and The House of Dancing Waters is powered by Periactes solutions. The implementation includes two render farms running on fully populated HP C7000 controlled by a HP DL380 server – acting as render manager. “The challenge for Periactes has been to select powerful equipment that would easily fit in flight cases. It was imperative for Dragone to have completely portable setups to produce shows worldwide, whether it be in Las Vegas, in Macao, in Abu Dhabi or anywhere in Europe. The two complete systems that we have delivered fit in two flight cases and can be used separately or together for big events,” states Periactes CEO, Baptiste de Bemels. The installation also features a Draco Tera Compact KVM matrix switch from IHSE, enabling all staff members to connect to onsite workstations and seamlessly collaborate. Thanks to its ultra light gator case, this central node can be placed anywhere, bringing incredible flexibility to Dragone as users, who are able to connect to their HP Z820 workstations up to a distance of 200 meters. 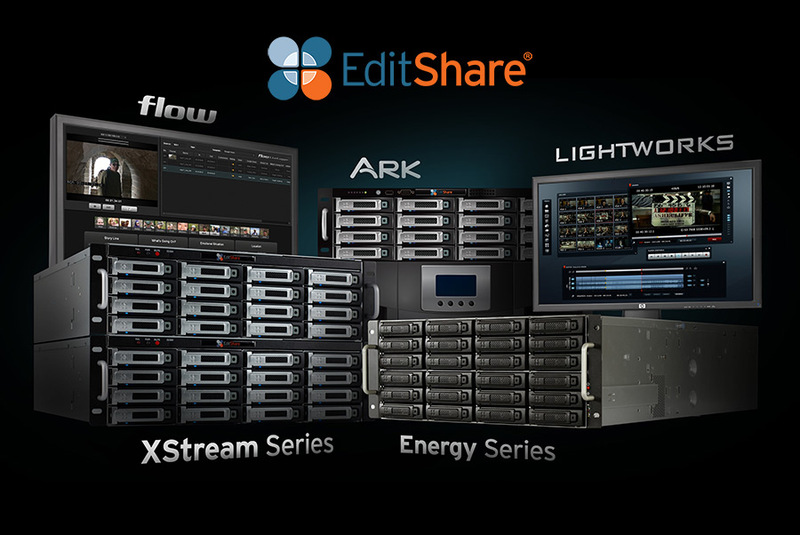 Further adding to the productivity and fast production process, a powerful EditShare Energy shared-storage solution, acts as a central media hub for the Dragone creative team and delivers online editing capability to dozens of simultaneous users. 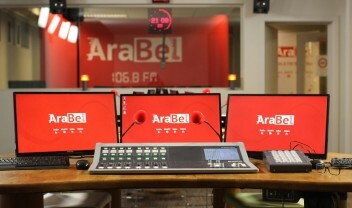 Editors easily draw on the same central pool of media and work in the same project simultaneously – freely and safely sharing raw material, bins and sequences. An Arista switch ensures seamless connection between the file server and the render blades in 10GbE. Offering speed and self-healing resiliency, this switch is designed for high availability and provides Dragone with the perfect network solution for its most demanding environment.